Thank you very much for visiting our website. If you are looking for a coffee supplier and roaster for delicious coffees for wholesale, barista training or an espresso machine then you have come to the right place. We roast coffee every day and use a state of the art coffee roaster which produces delicious smooth rich coffee. 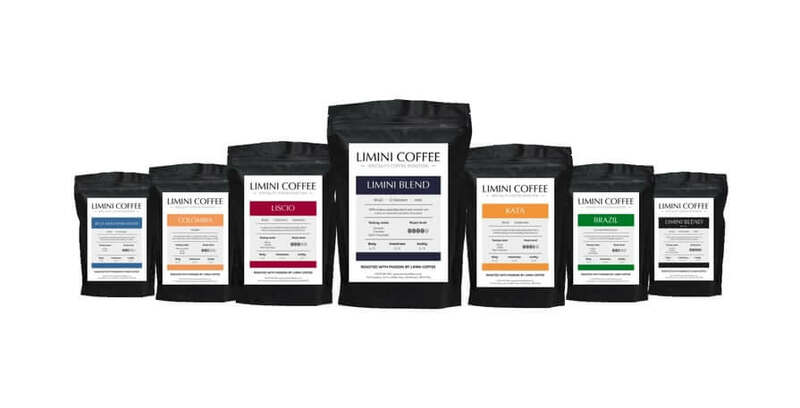 Limini Coffee is a wholesale coffee supplier and roaster based in West Yorkshire that specialises in wholesale coffee beans, barista training & commercial espresso machines. 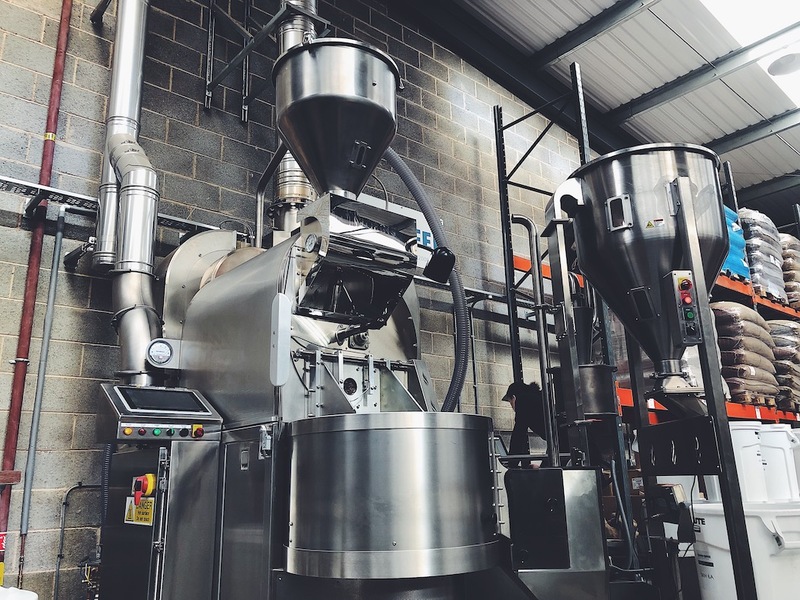 We are truly passionate about speciality coffee beans and our focus is on supplying wholesale coffee beans to like minded coffee people in the UK. Our love for doing what we do has come from helping people to serve delicious coffee and to realise their dreams of starting their own business and opening up a coffee shop. Our mission is to improve the quality of coffee being served and to make speciality coffee available to anyone who enjoys a delicious cup of coffee. We do this by sourcing the finest coffee beans that we can find from all over the world, teach people with passion during fun barista courses and then supply only coffee that has come fresh out of the roaster. Our coffee roaster is on every day and we roast coffee throughout the week. Done by hand and done by using the latest technology using the finest green beans. Having worked with Limini for the past six months now, I honestly couldn't praise their efficiency, thoughtfulness and professionalism enough. 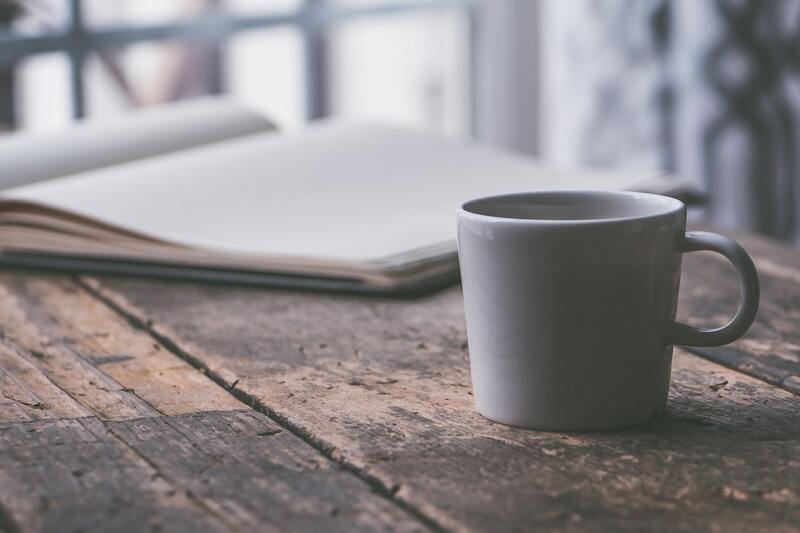 Amidst the difficulty of setting up our first business, they have gone above and beyond to help us with everything from VAT queries and premises licences to coffee sourcing and roasting. We were also absolutely delighted with the training that Vicky provided to our new team of staff. She talked them through the basics of how to use a coffee machine all the way through to creating beautiful coffees with latte art. With Vicky, no question was a stupid question [even though i definitely asked my fair share] and she was incredibly friendly and supportive with the whole team. We work with coffee shops, delis, bistros and restaurants all over the UK and also supply coffee beans to people at home. Our website has plenty of free interesting information about coffee and the starting of a coffee shop. We hope you will bookmark our website and come back once in a while as we continuously add more info. We have been trading since 2008 and started our journey as baristas! As a wholesale coffee roaster we are able to offer a professional and comprehensive coffee service to the trade. We are passionate about roasting speciality high quality coffee beans and enjoy sourcing delicious coffees. Since 2008, we have been supplying coffee people who look for outstanding quality at a competitive price. We work hard to source the finest coffee beans and then develop and roast these coffees for the UK market with care and love. We are not coffee snobs and feel that coffee is for everyone. Our customer range is very interesting, ranging from mobile coffee vans to slightly larger coffee shop chains. The Limini Team is small and has a passion for looking after our customers. Our team is diverse and are all trained in-house to ensure customers receive the most personal and professional experience from us. Together with you we can work on your coffee. We at Limini Coffee will do our best to find you a coffee that suits you. As a coffee roaster we can supply you fresh delicious coffee and we are able to offer a free of charge private labelling service. We believe that training is extremely important and should be to the highest standard and delivered in a fun way. Our trainers are full time and trained to the highest standards. As a wholesale coffee supplier we have been supplying high quality espresso machines since the beginning. We believe that quality equipment makes the life of the barista easier whilst at the same time helps to deliver delicious coffee consistently. Limini Coffee is run by Youri and Samantha and started in 2008. It is supported by a great team of dedicated people, who are devoted to quality customer service and providing the most delicious coffee beans, for both the wholesale and domestic market, and ensuring the very best barista training in the country is delivered each and every day. Without the team, well, where would we be? It is the people after all that make it all work. If you are looking to open a coffee shop or any type of business selling coffee then we would love to hear more about it. We have helped lots of people make their dream of opening a coffee shop come true and we would love to do the same for you. Whether you have a coffee shop, cafe, deli, restaurant, pub or hotel, we would like to work with you to improve the quality of your coffee. You have the choice between a range of espresso blends, single origin coffee beans, loose leaf teas, hot chocolates, bagged teas, retail packs and much more. We even run a specialised training course which focuses purely on people who are wanting to open a coffee shop. This is our very popular How to start a coffee shop course. We have a wide range of espresso coffee machines available ranging from one to four group espresso machines. After working on the most popular makes and models we have chosen a range of the very best espresso machines and grinders that offer true value for money. We supply the finest grind on demand coffee grinders ensuring you only serve the freshest coffees. We install machines nationwide from our base in Yorkshire on a weekly basis. Fresh coffee, very fresh coffee! We roast our own coffee here in the UK at our roastery so you can be guaranteed of freshness. Only the freshest coffee is good enough for our customers and we take this very seriously. Freshness in coffee is one of the most important factors to a delicious aromatic cup. You will receive coffee that has been roasted fresh and has a roasted-on date stamp and not just a use by date. This means our coffee beans are still full of flavour and have kept all the aroma within the beans. When you grind our coffee you will smell the freshness. As a coffee roaster we supply to anyone who is interested in serving great coffee. If you are interested in serving high quality coffees at your coffee outlet and you are willing to learn about coffee then we would love to hear from you. We offer coffee bean supplies, barista training and espresso machines all over the UK from Yorkshire to cities such as Sheffield, Leeds, Manchester, Birmingham, Hull, Newcastle, Liverpool, Bristol, London, Coventry, Gloucester, Nottingham and many more. A nationwide wholesale coffee bean supplier with a local feel.